This is a pretty average taxi-brousse, though a bit newer and better-maintained than some. You can see that they’re definitely not made for 33 people! The workers are busy loading some of the luggage while waiting for enough passengers to arrive to ensure it’s a tight squeeze inside! I magine taking a regular-sized van made for about 12 people: 3 rows plus the front seat. Then squeeze the 3 rows of seats closer to each other so that you can put another seat in the back – bumping the available space to about 15 people with very little leg-room. Each row is technically made for three people. Now, take that same van and start by putting 5 people and a kid in the back seat. They can climb through the side window, so it’s easy to fit them in. Put 4 people and 2 kids in the next row (that was our seat on the way there). Put 6 people and 2 kids in the row after that. The front row (behind the driver’s seat) actually has a little space or ledge that juts out just behind the driver’s seat. But of course there’s no reason to give the front row extra leg room there. No, instead you should put 4 people in the seat and 3 people kind of squeezed onto that little ledge sitting opposite them. Oh, and add 2 children and a baby there too (that was our row for the trip back). The very-front seat is incredibly spacious, just the driver, a passenger with the stick-shift between his or her legs, and only one more passenger sitting next to them. But, oh yeah, don’t forget to leave the side door hanging open so that 2 more people can sort of stand/crouch while they hang out the door. While the van travels about 60mph down the highway, full of twists and turns, big mountains and big cliffs. Now you have a van in Madagascar at full, or at least near-full, capacity. A vehicle made for 12, modified to fit 15, that instead currently holds 25 adults and 8 children: 33 people! 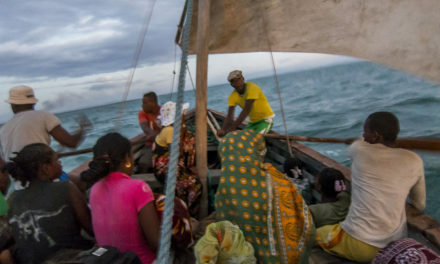 This is what’s known as a “taxi-brousse”, the regular method of transport between towns and cities in Madagascar, with many people getting on and off along the way so that they can walk out to their respective villages. 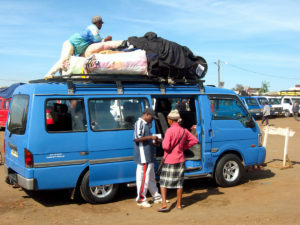 As you can imagine, most people don’t try to fit their luggage inside with that many people, so instead, they strap it in big bundles to the roof of the taxi-brousse. Typical luggage includes a few bags of personal belongings, sacks of charcoal, and baskets full of ducks and chickens – all resting soundly on the top of the van for the duration of the trip. This is from inside the taxi-brousse we were on when we went to our friend’s village. You can’t really see all the people in front (because the lens isn’t wide-angle enough), but you can see they’re packed in tight! And this was still several people before it was full – at that point I couldn’t move my arms around well enough to get a good picture! 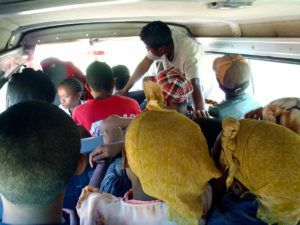 This is also often called “tery”: the Malagasy word meaning “tight”, “squeezed”, or “narrow.” As you’re travelling down the road and the taxi-brousse pulls over again, not to let one of the passengers off, but to squeeze in one, or two, or even three more, many people murmur, “efa tery!” (“already tight!”). Everyone acknowledges it, but it’s not really a complaint – those words are usually accompanied by a chuckle and a laugh. Everyone squeezes over as much as they can, or one man stands up to sit in the lap of another man, and they make more space. Though I never would’ve imagined it before I saw it with my own eyes, everyone fits! And then 20 or 30 minutes down the road, the taxi-brousse pulls over again, everyone squeezes or stacks themselves some more, and yet another person is added to the group of passengers crammed into a vehicle originally made for just 12. We made a six hour trip like this (six hours each way) to spend the weekend at our friend’s village a couple weeks ago. 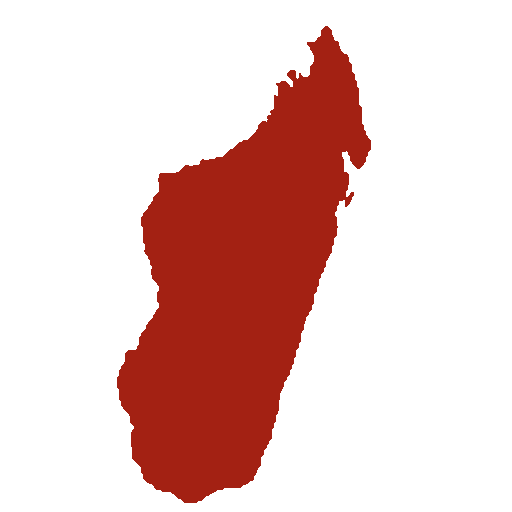 Many situations in Madagascar are “tery”. For example, when we arrived at the village, we stayed in our friend Tahina’s family’s house. They had two beds – mattresses made out of rice and grain sacks sown together and stuffed with hay. And for Lora, Matimu, and me, they gave us the equivalent of the “master bedroom” – a single-size mattress on top of a wooden frame. Needless to say, sleeping that night was a bit difficult, as neither Lora nor I could get both our arms on the bed at the same time, and Matimu was pretty well squished between us. But an average Malagasy family would probably have another small child on that same bed with them, they’d make space. It was “tery” – very narrow – but it was normal for Malagasy people, even a privilege. Our friend Tahina was alone that night, but his mattress was smaller and it was on the floor. 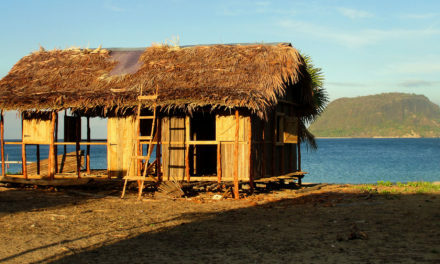 Most Malagasy people build their own houses, and they build them out of local materials they gather and prepare themselves – clay and thatching, or palm tree leaves and bamboo, that sort of thing. And there’s little formal ownership of land in the rural areas of Madagascar, so they could build wherever they want. But unlike Americans, most Malagasy have no desire to give themselves a big lawn or a good distance from their neighbor. Instead they often build their houses no more than 5 feet, or 20 feet at most, from the next house. And since their materials are essentially free, they could build their houses as large as they want to, as many rooms and as much space as they could desire. But they don’t. Unlike Americans, they don’t care if their houses are large, and instead they build about as small as is “large enough” – just enough to fit the number of people inside that they expect to have at any one moment. And not at what Americans know of as a “comfortable distance” from each other either. To us, Malagasy houses and villages would be known as “narrow” or “tight” or “squeezed” – but it’s quite normal for Malagasy people and I’ve never heard even one remark on it. Festivals and holidays are a different matter entirely! It turns out that Easter here is actually the most widely (and boisterously) celebrated holiday of the year. The Monday after Easter is also a public holiday and it’s when the majority of the festivities occur. So, everyone from outside of town, from miles and miles away, makes their way to town to join in the fun. The population goes up by about 10 times as much as before. But instead of spreading evenly throughout the town and the surrounding areas, instead they cram into the central parts, the parts that are already far too full of people. These are the crowds in the middle of town for Easter Monday – packed tight! This actually isn’t the tightest point; I waited for a “gap” in the people so that I was able to maneuver my hands well enough to get a good picture. But these crowds stretched for a good mile all around! We tried to see for ourselves what was going on at the main gathering places, and we could barely move at all because it was so tight with people, literally shoulder-to-shoulder. We certainly couldn’t see anything happening because of all the crowds. We decided to leave nearly as soon as we arrived, but we were already packed in so tight that it took a long time to get out of there. Yet every year (we’re told), the experience is repeated: people love it and they keep coming back for more! 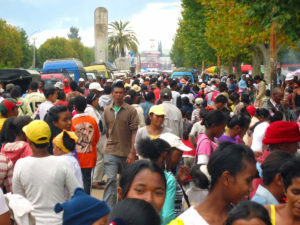 Malagasy people love to be near each other, and on special occasions, they’re even nearer! On Easter Monday, when people say “tery” (“narrow” or “squeezed”), it’s with a smile on their faces. To me, it’s remarkable how different the situation is, and especially how differently it’s accepted, between the Malagasy way and the American way. I already mentioned how as Americans we want more and more space, in our homes and our yards, but it’s everywhere! Our roads are wide with wide shoulders, many lanes, and we get upset if someone is following us too close. Of course our vehicles are super-roomy, and I think part of the reason Americans love big cars is just for all the space inside them. Our parking lots are massive – almost never full! And everyone hates it when the individual parking spaces are small, though they’re almost never too small. In the movie theater we prefer to choose a seat with one or more seats between us and the next person, and people often put their purse or jacket in the seat next to them, just to be sure no one crowds them too closely. Church seating usually works the same way! And there’s the classic joke about men’s urinals in the restroom – every newcomer to the restroom has to pick the urinal the furthest possible from the next occupied one, and when it comes down to having to choose one immediately next to another person, then the men start filling up the stalls with doors instead. Of course, most of those situations I mentioned involve multiple factors, like desire for privacy or safety; but they all come down to the same thing: we want more space and we want to keep a distance between ourselves and the next person around. And yes, sometimes Americans are forced to sit in a traffic jam, or travel down a narrow street, or buy a smaller car (with rising costs of gas), or sit directly next to someone in a movie theater or church, or even use a urinal directly next to another man. Or heaven forbid: take “crowded” public transport in a big city like New York! But all of these situations are affronts to our true desire for space, and the almost inevitable complaining or disgruntled thoughts prove it. Very unlike Madagascar. This comparison and contrast reminds me of one of Jesus’s most famous statements about “wide” and “narrow”: “Enter through the narrow gate; for the gate is wide and the road is easy that leads to destruction, and there are many who take it. 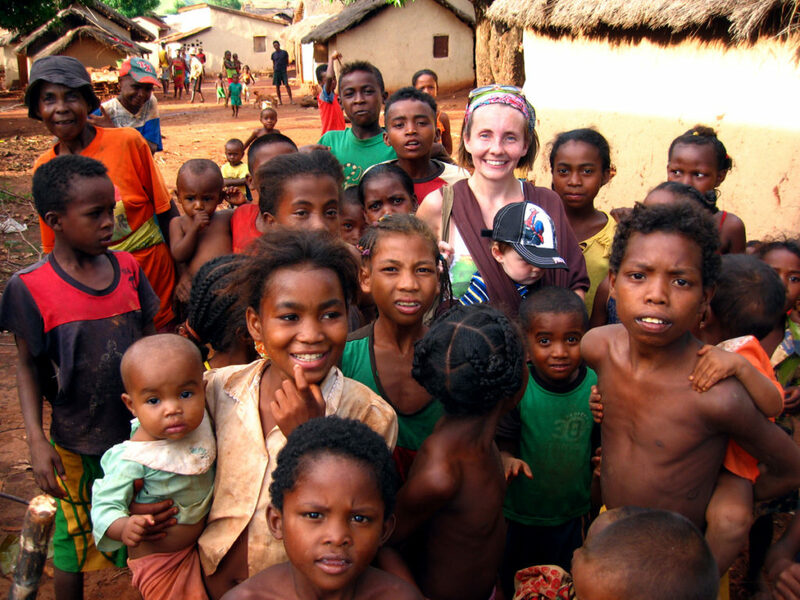 But the gate is narrow and the road is hard that leads to life, and there are few who find it.” (Matthew 7:13-14) It makes me think more about what it means to be “wide” and “narrow” and the differences between the Malagasy and the American conception of it. You see, as Americans, we like our space (and our privacy) because we don’t really like to be bothered by other people most of the time. We’re independent and we believe we can do things completely on our own: “I’ll take care of my business, and you take care of yours!” People shouldn’t intrude on others’ lives. They shouldn’t peek over someone’s fence, they shouldn’t crowd them in public, and they shouldn’t sit immediately next to them in a church or movie theater when there’s enough space still available for them to sit somewhere else. Why bother each other like that? We can do things on our own just fine and we don’t need someone else coming into our space and interfering with our lives. To be completely honest about it, we’d rather just think about how to take care of ourselves and not have to worry about the intrusions of someone else. And I know I’m no better in this area than any of you. But is this the “wide road” we’re following? 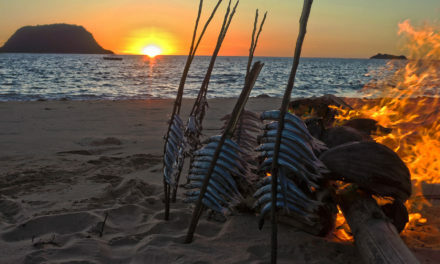 Whereas Malagasy people are fully aware, and apparently don’t try to avoid, the impact of other people on their lives, both their impositions and their inspiration. If someone didn’t scoot over in the taxi-brousse so that there was room for them, then they wouldn’t be able to get to and from town. So why shouldn’t they scoot over and squeeze and press and do whatever they have to do, for the next person who needs a ride? 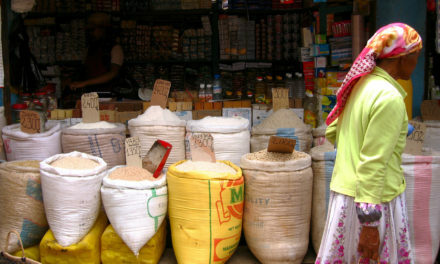 Most Malagasy people don’t have access to grocery stores and even rural markets are infrequent occasions. If they didn’t live in a village where some people grew potatoes and other people grew carrots, one person fried Malagasy bread and another made fruit juice, one person raised chickens and another raised cows, then their diet (and correspondingly, their health) would be incredibly limited to their own rice and whatever few other crops they could grow. They need each other and they know it, and they might as well enjoy the proximity of each other’s company as well! If there happens to be a village drunk, or a stinky person pressed tightly against them on the taxi-brousse, well that’s just part of life, part of living in a diverse community – no great reason to try to avoid it. People need each other and Malagasy people know it and they’ve grown to appreciate it, in all its ups and downs. Is that perhaps part of the “narrow” path that Jesus encourages us to find? “Here [in the Bible]… in contrast to the modern Western views, there is no attempt to see the human person as an autonomous individual, and the human relation with God as the relation of the alone to the alone. From its very beginning the Bible sees human life in terms of relationships… the Bible does not speak about ‘humanity’ but about ‘all the families of the earth’ or ‘all the nations.’ It follows that this mutual relatedness, this dependence of one on another, is not merely part of the journey toward the goal of salvation, but is intrinsic to the goal itself. For knowing God, for being in communion with him, we are dependent on the one whom he gives us to be the bearer of this relation, not just as a teacher and a guide on the way but as a partner in the end. There is, there can be, no private salvation, no salvation which does not involve us with one another. Now, I know that’s a long quote, but I think Newbigin said it well, and if I only paraphrased what he already wrote, I’d just be stealing. But think about it. And think hard. There’s the obvious and accepted fact (to Christians) that we need at least one other human – Jesus. But what Newbigin is saying is that the Bible speaks clearly on the fact that we really need each other as well. We ourselves wouldn’t even know Jesus if it weren’t for the other person that God sent to introduce him to us. God, in his wisdom and glory, has decided to do all of his works in the foundation of relationship. As the different members of the Trinity relate to each other, as God has related to humanity, as God has become incarnate as Jesus so that we could relate to him better, and as God has sent people, even just a few people to start with, to spread that story and that new life to other people – all of God’s works are founded inherently in relationship. And that relationship, of course, means rubbing shoulders with people, not keeping our distance. Sometimes it means getting dirty, being involved in the mess, not remaining separate and unreachable. It means accepting the crowdedness, the “tery”, the restrictions and impositions on your own life that living with and respecting the worth of other people (other than just yourself or your family) causes. It strips away our individualistic self-reliance and causes us to embrace community and mutual support and edification. It means to take the “narrow path”, the difficult one, the one that recognizes God’s work in relationships and our requirement to accept that and also to live out that new form of relationship with everyone we come into contact with. It even means simply that: to stop avoiding contact, but instead to embrace all of the people around us. The spacious and wide path is easy, the one that looks after only self and keeps the interference that other people cause in our lives at a safe distance. But it’s the road that leads to destruction. Instead we’re called to embrace the realities of life, the messiness of the world, and in particular, the peculiar nuances of other human beings – to let them crowd into our own lives, and live life shoulder-to-shoulder with them. In so doing, we may possibly have the impact in the world and effect the changes that God has called us to participate in. And even if we don’t see those changes, even if we don’t realize success, then we’ve at least done nothing less than God did when he became man. He stepped into the mess of our lives and our world just the way we are. In the incarnation, to go from infinite God to finite man, it must’ve been very crowded and narrow indeed. But in that process Jesus brought the power of resurrection and new life to the whole world. So let’s learn a little bit of what most Malagasy people already know. Let’s embrace the “narrow” and the “crowded” life! When we first arrived in our friend’s village (Andimaka) everyone, but especially the kids, were very excited to see us and especially to see Matimu. So, they crowded around Lora and Matimu! At first it was a little much for Lora (after a 6 hour taxi-brousse ride and a three-mile walk to get to the village) – but really the kids were just excited and that’s how they expressed it: by crowding around.